1. Mix high and low. 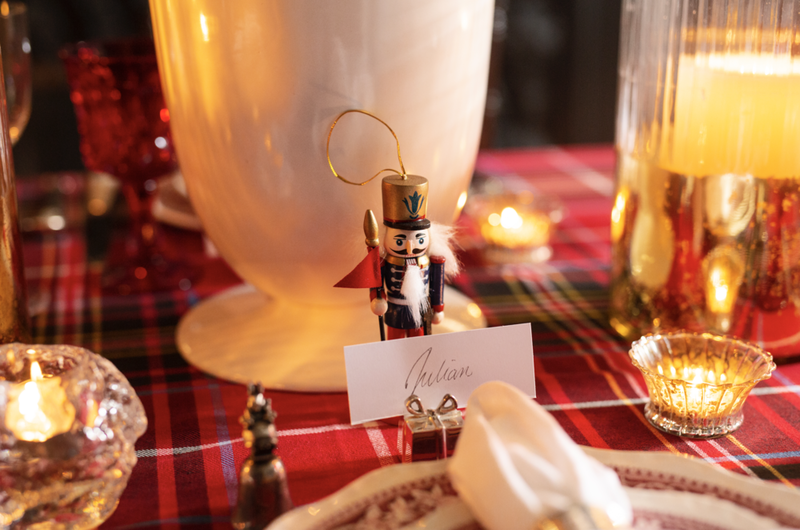 I like to use three categories of items on my tables: current, vintage, and precious. Current could be something you picked up at a store that isn’t necessarily expensive, but you love it! Vintage could be china you inherited from your grandmother, or a great piece of silver you found at an antique store. And precious - well that’s something that holds more sentimental value than monetary value. Then it’s all layered on the table; it makes the look approachable, but still special!! Always have fresh flowers or greenery on the table. It could be a bouquet professionally done, or a bunch of seasonal flowers from your local market, or even fresh-cut greenery. If budget is tight, spread the bunch of flowers out by using single bud vases lined down the middle of the table for greater visual impact! One of my own collections! There is nothing better than a collection. Maybe it’s a collection of salt and pepper shakers. Maybe a collection of monogrammed napkin. Perhaps a collection of mini nutcrackers. Use your collections to make your table about you and your personality. People are gathering around your table because they want to spend time with you. Show them a little about you through your collections. Don’t have a collection? Start on by searching on Etsy or going to your local thrift store. Start with what speaks to you and go from there! Use these tips to create new memories this holiday season - and remember to have FUN! !